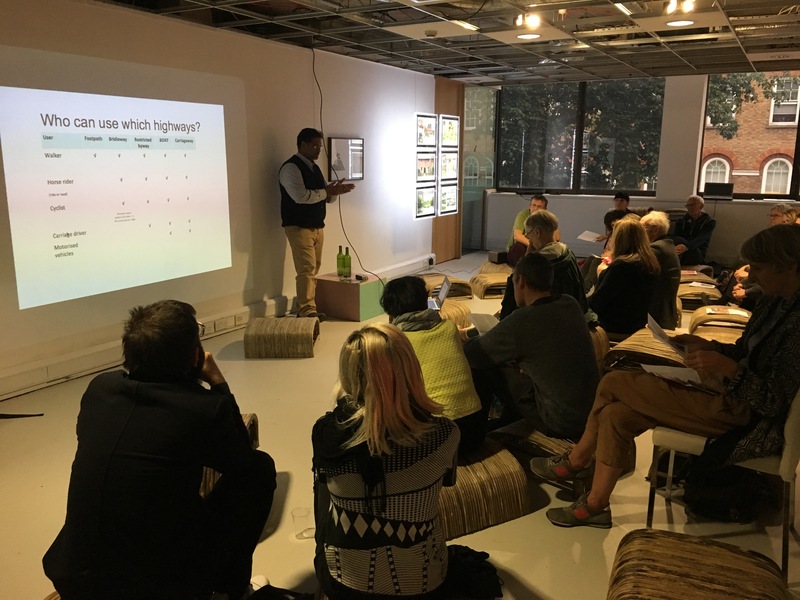 In Summer 2016, The New Landscapes Institute developed and presented 'The Right of Way' in London as part of the 'The Empire Remains Shop' by Cooking Sections. 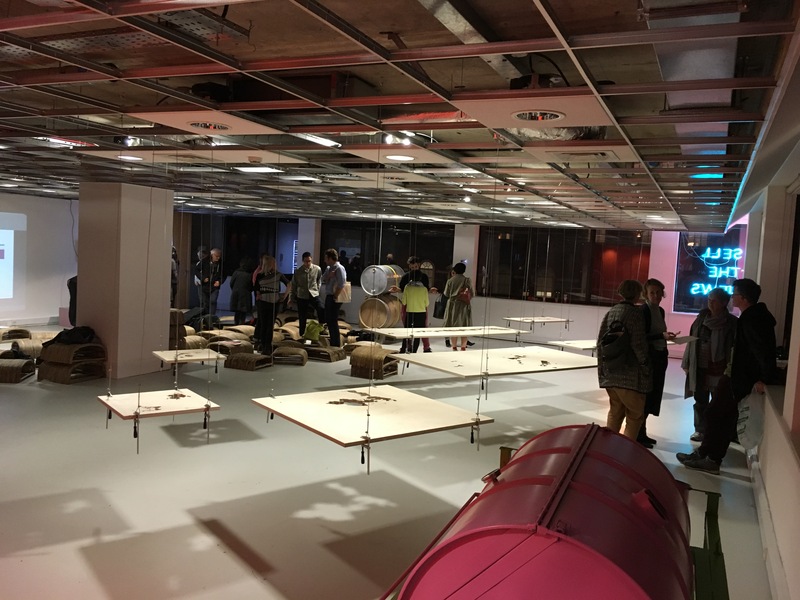 NLI curator Joni Taylor was invited to participate in “The Empire Remains Shop”, a temporary space set up by the artist group Cooking Sections (Alon Schwabe and Daniel Fernández Pascual) whose research-based practice explores the overlapping boundaries between visual arts, architecture and geopolitics. 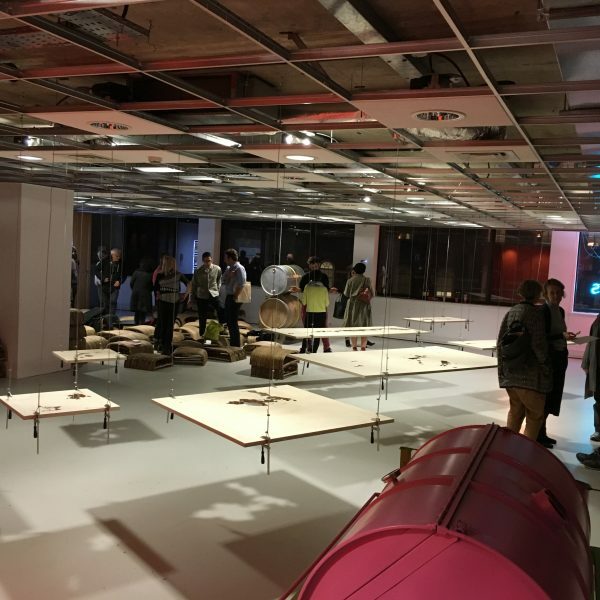 The Shop became a unique, multidisciplinary platform where participants from different backgrounds came together to present critical research in a public forum. 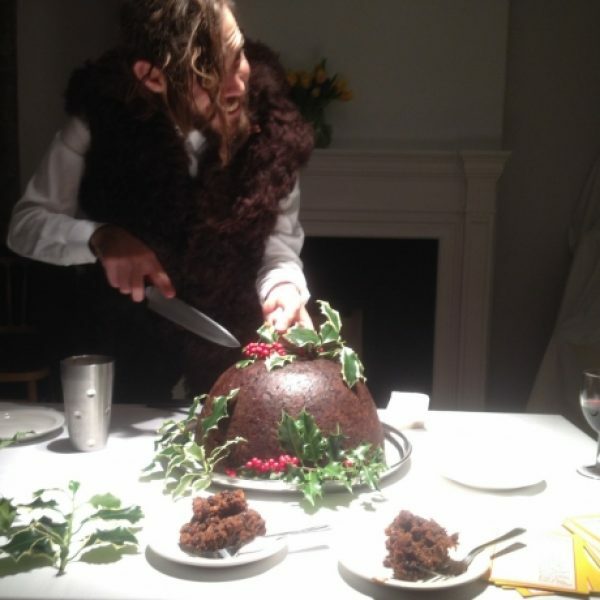 As part of the project, Joni Taylor was a resident at the Delfina Foundation during ‘The Politics of Food’ series, which works with artists, curators and thinkers to investigate the production and distribution of food. 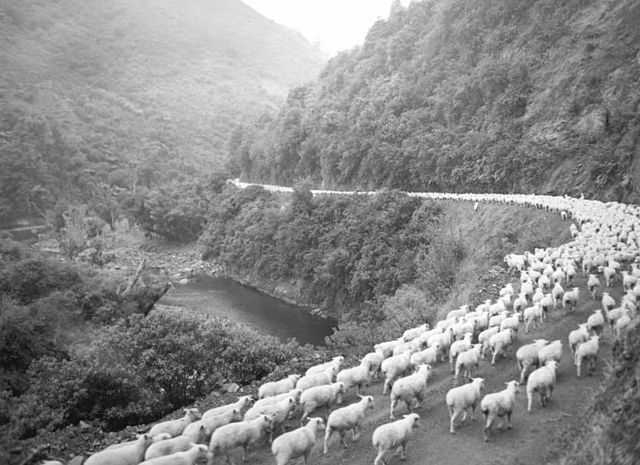 The NLI project “The Right of Way” explored both Australian and International examples of shared rural commons and how artists can design these spaces for new encounters with landscape. 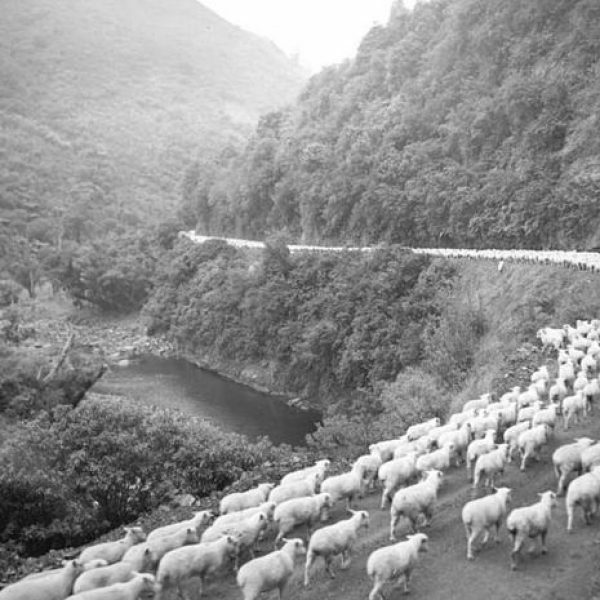 As part of The Empire Remains Shop, The NLI embarked on a new project exploring the right to travel for both humans and animals within urban and rural contexts in the UK. The historic UK & Wales ‘Right of Way’ laws have been central to the movement of food and produce, yet these Commons also serve to exclude as much as they provide. 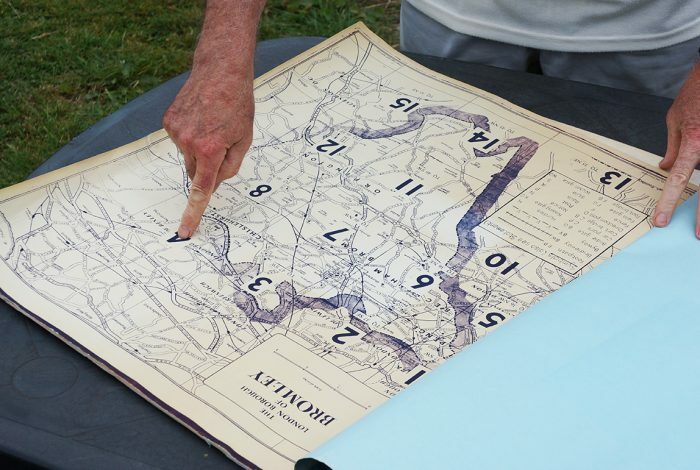 “The Right of Way” project explored how battles for these rights are still being fought and what new uses these landscapes can offer. The contemporary British countryside contains a labyrinth of Public ‘Rights of Way’ – Bridlepaths, Byways, ancient Highways and Footpaths, which over the centuries have been reconfigured by an array of laws and rural interventions that dictate their use. 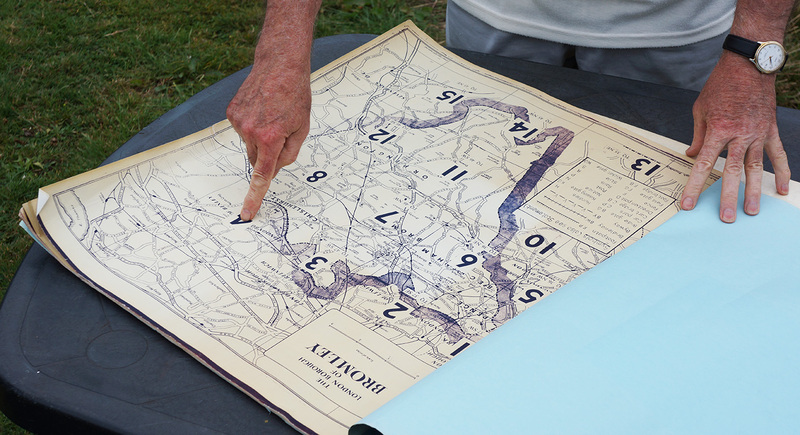 Through fieldwork, interviews and research the New Landscapes Institute was able to reveal how simple human interventions into the rural landscapes signifies the ongoing battles between public and private space. The Kissing Gate is one such object, that while inviting some types of users in, also denies access to others. The Historic violent enclosure of the Commons remain as traces throughout the benign yet picturesque landscapes of hedges and fences that control movement. The simple insertion of a Gate allows one “the right to roam” and make their way freely across this landscape. Come upon by surprise in a country field or forest The Kissing Gate is a simple mechanism that encapsulates the many conflicts and struggles occurring within the agrarian communities and urban green belts. The adaptation here for the Empire Remains Shop of a traditional Kissing Gate expands the notion of a threshold – it is is able to be open and closed at the same time, giving more than one user the opportunity to enter this in-between zone and to allow or deny access to each other. It invites the public in to play and to contemplate the many obstructions that prevent free access and use of rural spaces. 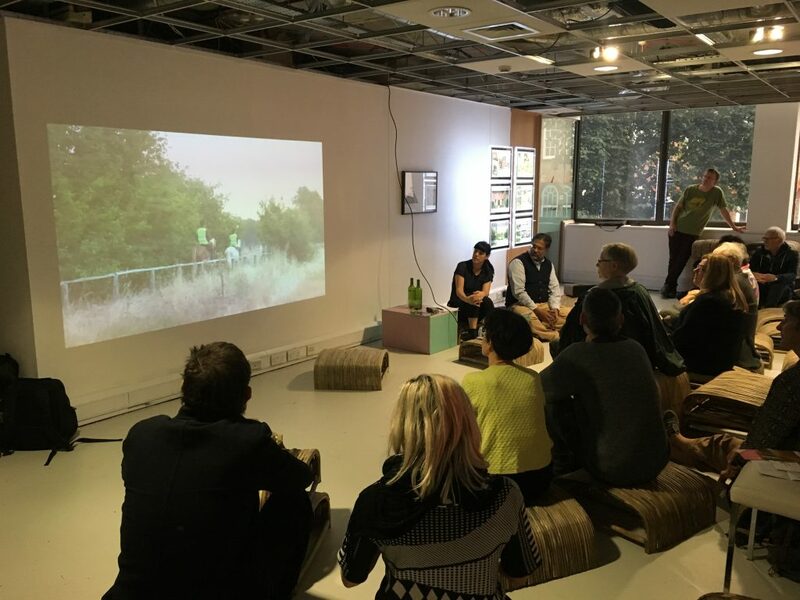 Running parallel to the installation was a public program of fieldwork, horse rides along the bridle paths, discussions and screenings. 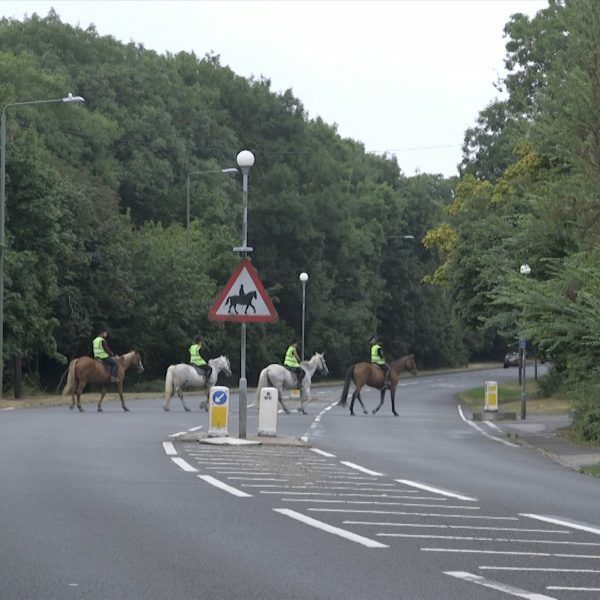 The Bridleways are “a way over which the public has a right of way on horseback or leading a horse, with or without a right to drive animals along the way”. The London Borough of Bromley has the largest area of countryside in the capital and the largest number of horses. Throughout this landscapes is a network of ancient highways, public footpaths and permissive routes for a variety of users. These trails are all marked with particular signs, infrastructures and rural interventions allowing access to some users and denying access to others. As part of the New Landscapes institute’s project ”The Right of Way” the ride provided an opportunity to conduct fieldwork and enjoy the benefits of the Bridleways on horseback. Participants heard from a variety of speakers about the battles to keep these trails open and maintained in the face of growing urbanisation. The ride aimed to begin a dialogue into contested public private lands, the commons and changing farming practices. Invited speakers include The Bromley Bridleways Action Group, local historian Tudor Davis and local riders. 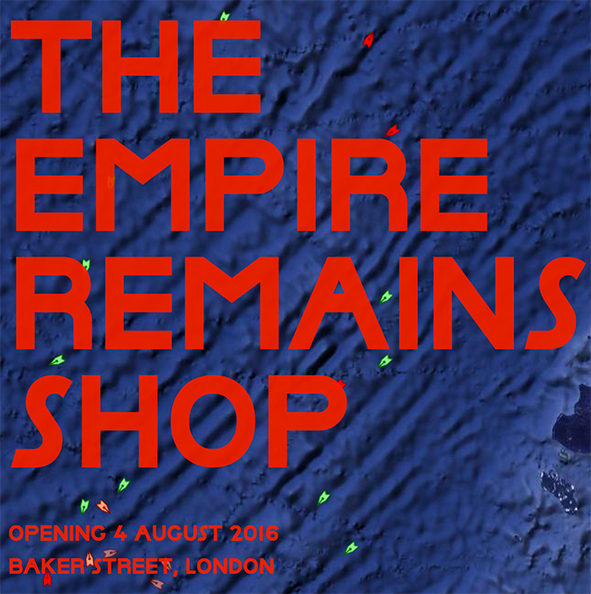 The New Landscapes Institute hosted the evening event Redrawing the Definitive Map at the Empire Remains Shop. In this urbanised time, the age-old battle for the Commons continues to be an ever- expanding field. In 2000, the Countryside and Rights of Way Act was introduced in England and Wales. Section 53 of the Act provides for a cut-off date for the Definitive ‘Right of Way’ map of the year 2026. 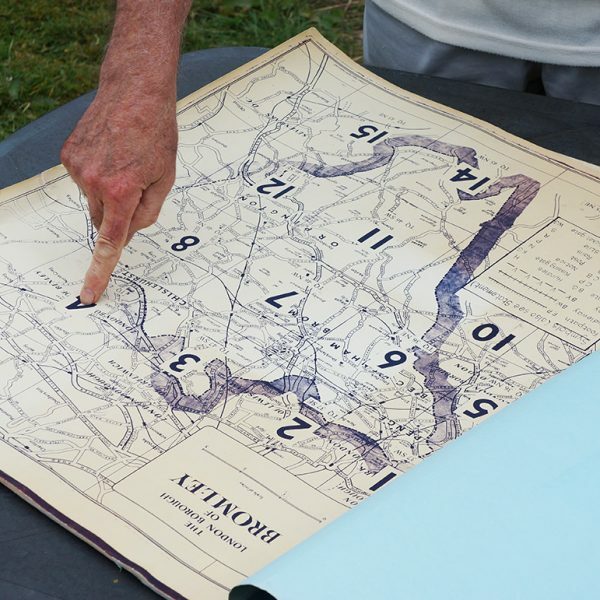 This means that many historic routes and trails will be lost if they are not formally recorded in the next ten years. 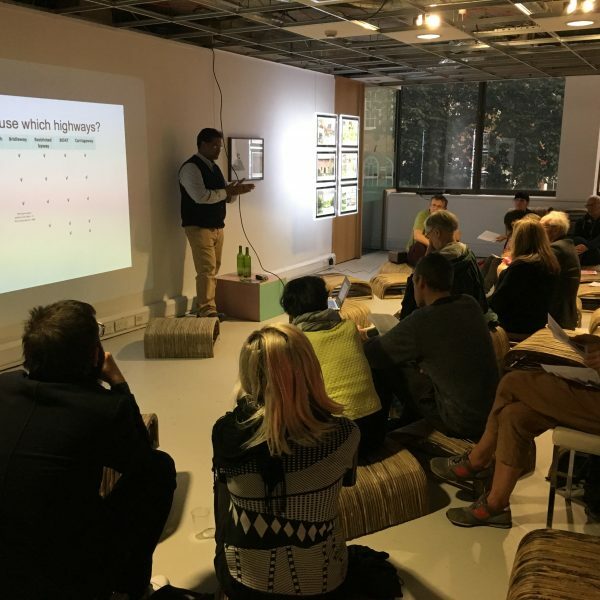 During the event, a range of speakers presented different views on this transforming landscape and where the battles for public and private space are still being waged. Invited Groups include The Open Spaces Society, The Ramblers, The British Horse Society, Bromley Bridleways Access Group , Past Tense Publishing and other public space advocates. The audience were able to find out how they could contribute to identifying and recording any unlisted or forgotten Rights of Way before the cut off in 2026. 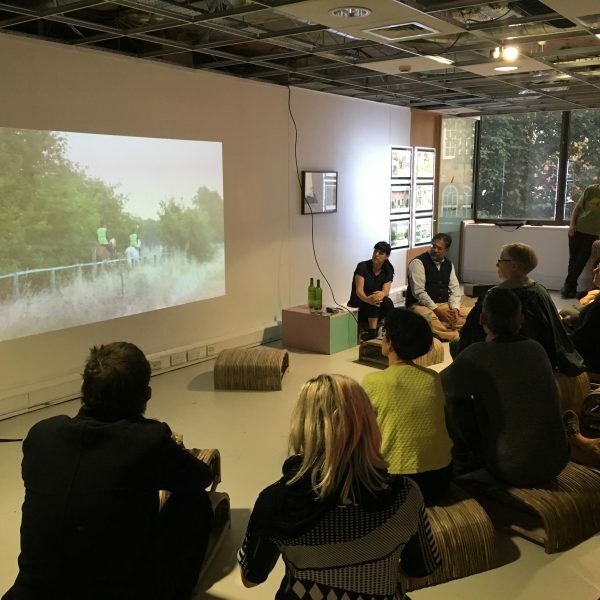 There was also a screening of Along the Bridleway – documenting the New Landscapes Institute’s recent fieldwork horse riding along London’s Green belt. 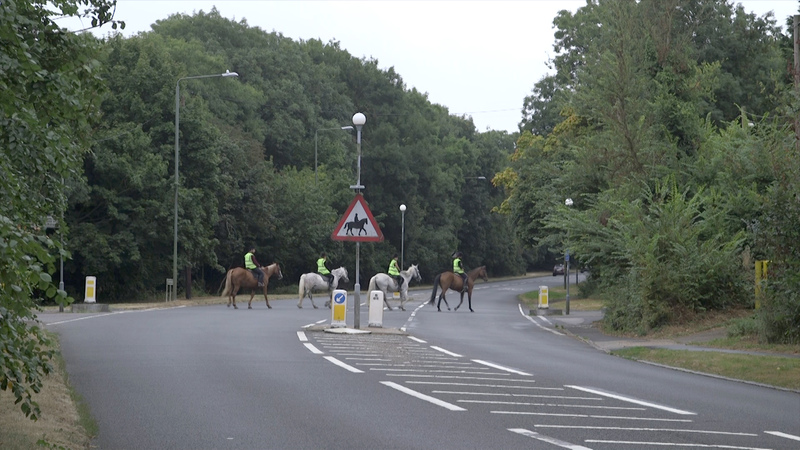 The Right of Way – Fieldwork on Horseback from joni taylor on Vimeo. 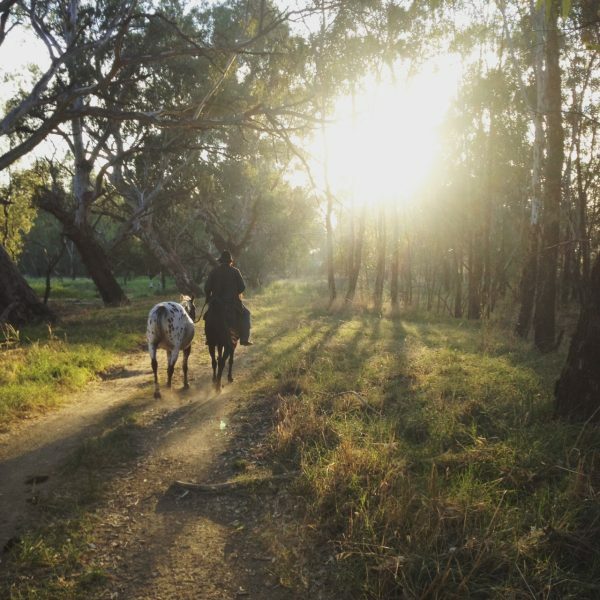 THE RIGHT OF WAY is a continuation of the New Landscapes Institute’s investigations into the transformation of stock routes and rural trails for the project The Long Paddock, to take place in Australia 2017. Cooking Sections is Daniel Fernández Pascual (Spain ) & Alon Schwabe (Tel Aviv ) a duo of spatial practitioners based in London. Their practice was born to explore the systems that organize the WORLD through FOOD. Using installation, performance, mapping and video, their research-based practice explores the overlapping boundaries between visual arts, architecture and geopolitics.